THE DEATH STAR HAS CLEARED THE PLANET! LAUNCH INTERCEPTORS! 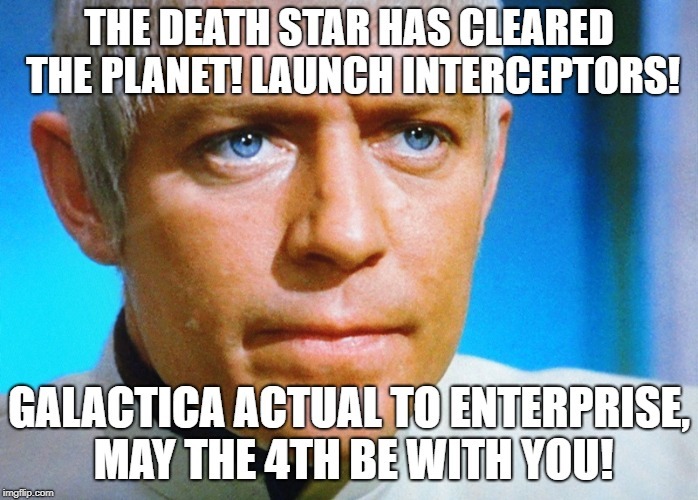 GALACTICA ACTUAL TO ENTERPRISE, MAY THE 4TH BE WITH YOU!